Complete missions on foot and by vehicle, to become a made man. East New York, Brooklyn, 1935. You play the role of Jimmy 'the fish' Carbone, an ageing down on his luck gangster, who has just done a ten stretch in the slammer. Upon release, Tony Black, lead member of the most powerful mob family in New York takes you under his wing and offers you a job opportunity. Complete missions on foot and by vehicle, to earn the trust of the family, and to become a made man. Download the APK from HERE and install. 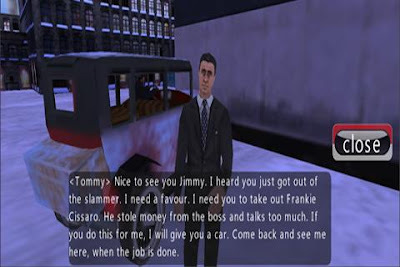 where are the data files for mafia diaries? Counter Strike ON GALAXY Y!!!!!!! !